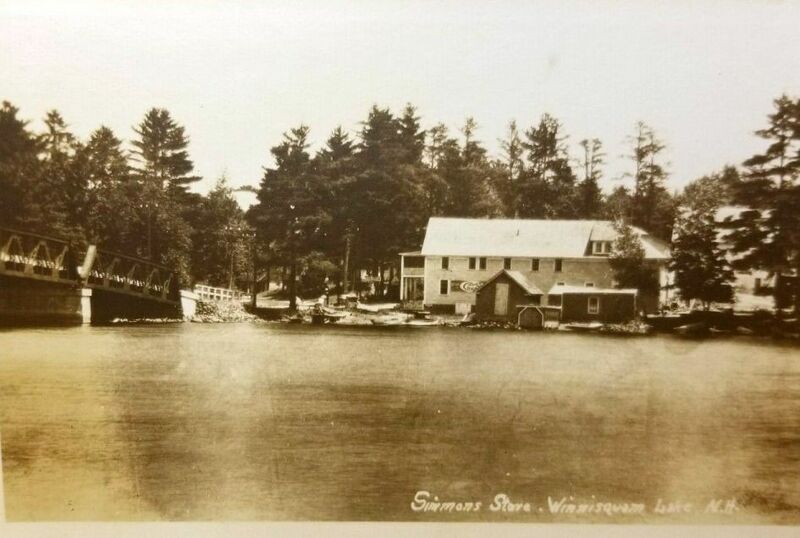 I'm looking for a little history help about the name of a location / business on Lake Winnisquam at the old bridge for a group of cabin's. I've seen a number of different photos and post cards of the area over the years with them but can not remember what the name of these Cabins was. I highlighted just what I am trying to find out in the photo below. Obviously the area has changed over the years. Note what it looks like at Winnisquam Marine now. I suspect these cabins were probably taken down / lost to eminent domain when the new bridge was built in the 70's just north of the one in the photo. Probably right around the same time that the Jump'n Jack Restaurant was also lost on the other side of the bridge albeit the Jump'n Jack Restaurant was moved down the road but never reopened. Anyone know what the name of this little Cabin Colony for lack of a better term? Currently the bridge traffic goes right through this location, so there is nothing there now but the roadway. Same photo with no text or arrows, for folks that sometimes like to save these images. I recognize the front of the house on the left. It's still there! I lived in that house from '51-'57. We rent it from an elderly lady that also rents the cottages across the road as well as cottages to each side. There was an overpass over the railroad and original Mosquito Bridge was replaced. A new road replace the cabins. Before 93 was built and before 106 was paved, this road in the middle of the picture was the gateway to the North. The road was heavily traveled. 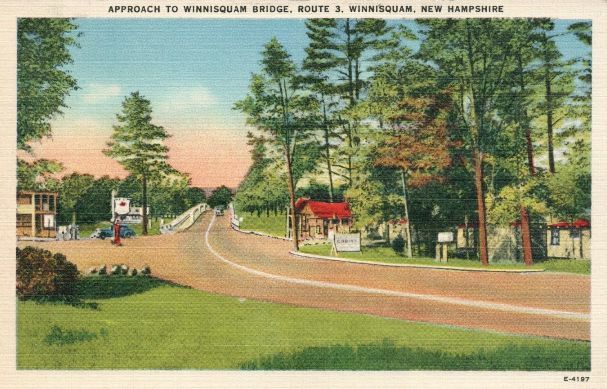 I think in the 50's, Route 3 had a concrete cover, later paved. The house is now a B&B 'Lakeview House', I think. The big barn is still there, the cottages to the right are converted to year round homes. I can't recall the names of the business. Thanks .... the bed and breakfast I'm very familiar with, the folks that used to own it up until a few years ago rented dock space from us years back and with another property we owned we provided some emergency back up space for when they over booked and needed an extra room to rent for a night or two. I appreciate your reply but what I'm looking for is the name of that little cabin colony on the right just before the bridge when heading south. There is really nothing there now. The cabins technically would be under the roadway now. 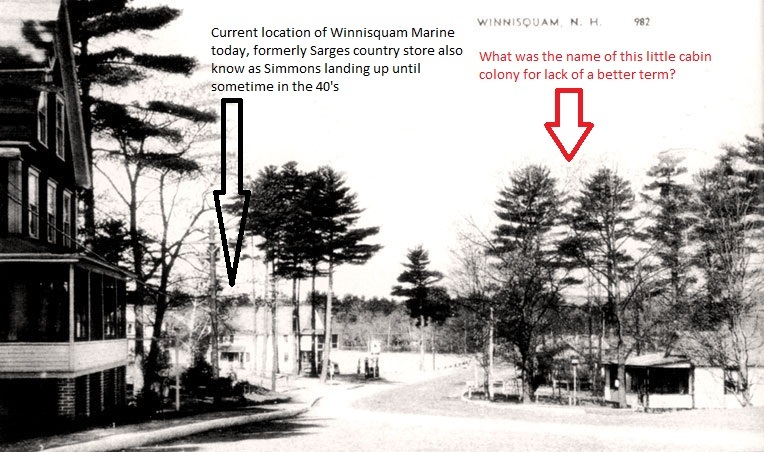 For anyone interested, I have an extensive webpage about the Winnisquam/Mosquito bridge and its approaches here. Included is information about Aviation Point, Mohawk Point, and Lake Winnisquam brochures and maps. Thanks ........... 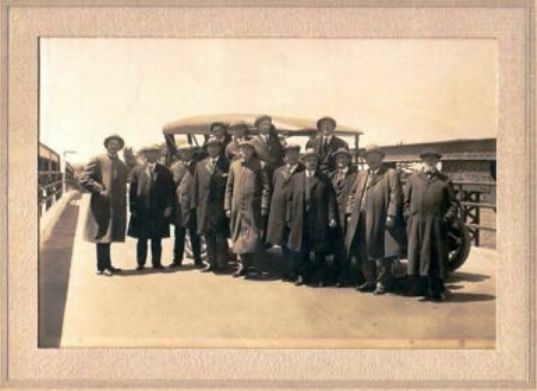 I really enjoy your site some really nice historical images there. I had all ready looked before posting this thread to see if you had a possible answer to the question I was asking. Can't seem to find anything about what this cabin colony place was named. Some other photos of the area. I wish I could find a photo of the Jumpin' Jack that has been mentioned on the forum a few times in different threads but no photos. 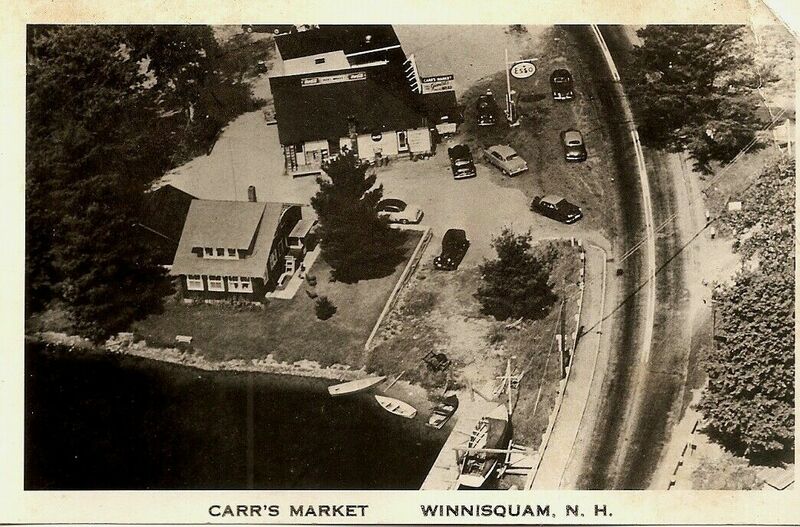 Carrs Market: The current business here is Winnisquam Country Store & Deli in Tilton on the opposite side of the road in Sanborton was where the Jumping Jack was located. Note the little building (only partially shown) on the right is still there. I think it's a snowmobile, motor cycle, ATV repair shop these days. 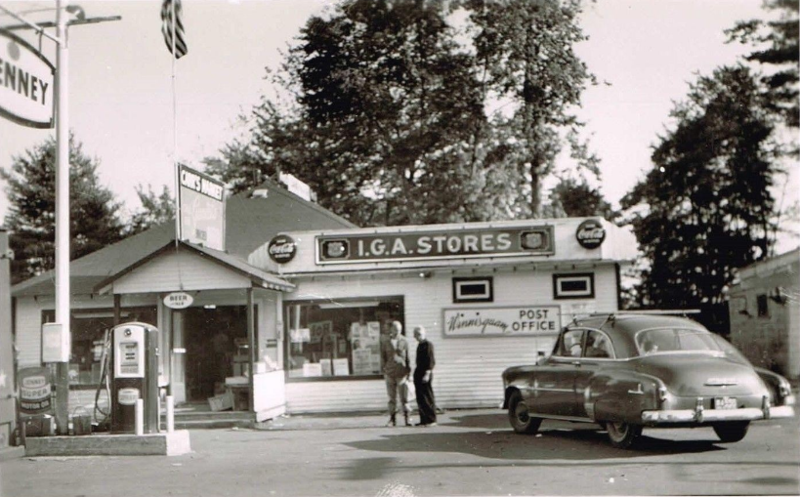 When is the last time you seen an IGA store or Jenny Gas station? Carrs Market from the air. With an ESSO gas sign. The darker colored home / camp (off to the left) is still there to this day. To add to your history a bit, the daughter of the Simmons, Lorraine Dunlop, who was living in Tilton, recently passed away, shortly before her 95th birthday. I am married to Lorraine's daughter, the Simmons' granddaughter. "Grammy" Simmons used to be up really early every day to bake goodies for their store. We have the Hamilton Beach mixer she used that she had received for an anniversary present one year. We have had it restored and my wife, while nowhere as prolific when it comes to baking as her grandmother, uses it when she is baking.